"A great deal of art or design or technology activity entails some research, or orthodox or unorthodox kinds, in support of the main activity. It is not quite so certain that the activity itself is the same as research activity per se. One has to ask, was the art or design or technological activity an enquiry whose goal was knowledge? Was it systematically conducted? Were the data explicit? Was the record of the conduct of the activity 'transparent', in the sense that a later investigator could uncover the same information, replicate the procedures adopted, rehearse the argument conducted, and produce the same result? Were the data employed, and the outcome arrived at, validated in appropriate ways? Most academic institutions with higher level art, design or technology departments can point to at least a few cases of practical activity where an effort has been made, successfully, to meet these criteria. So can a few research institutes and professional design offices. In these cases the activity can properly be equated with research, and should be recognised and rewarded accordingly. Where any activity, whether it claims to be 'research' or not, fails to meet the criteria which define research activity as 'a systematic enquiry whose goal is communicable knowledge', it cannot properly be classed as research or equivalent to research. Where an activity does meet the criteria, it can be classed as research." Archer, B. (2004). 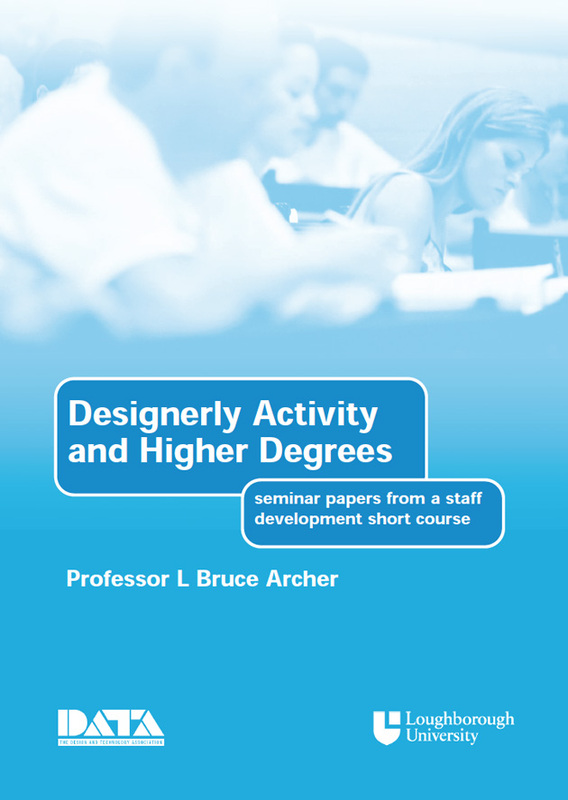 "Designerly Activity and Higher Degrees", The Design and Technology Association. "As the growing body of literature testifies, the role, function and nature of the university are subject to increasingly intensive debate as higher education undergoes profound transformations at the national and international level. There is no longer any consensus about the 'idea' or the 'uses' of the university (Newman 1873; Kerr 1963), if there ever was. Universities are being 'realised and reshaped' (Barnett 2000; 2005), 'rethought' (Rowland 2007) and 'redefined' (Scott 1998). While some regard these transformations positively, others feel that these changes undermine the academic mission of the university, leading to 'crisis' (Scott 1984), 'deprofessionalisation' (Nelson and Watt 2003), 'corporatisation' and 'commercialisation' (Bok 2003; Slaughter and Leslie 1997; Callinicos 2007), 'ruination' (Readings 1996) and even the 'death' of the university itself (Evans 2004). A key issue of concern for those who feel the academic mission of the university is being undermined is the way in which the student experience has been consumerised (Boden and Epstein 2006). The concept of student as consumer is based on a market led model of corporate governance, within which risky activity is motivated by profit driven imperatives. In this paper I argue for a different model of risk, one which is based on taking progressive risks with the curriculum in order to give students more responsibility for their learning, and – in so doing – provide much richer learning environments. I describe this model not as student as consumer but student as producer (Neary and Winn 2009). This model may be at odds with the market driven paradigm, which sees universities as providing a service for students, but it has the potential, I argue, to provide the basis of a framework for teaching and learning in higher education which promotes social responsibility as the key organising function of the university, making it better able to deal with the social emergencies that underpin its own crisis of identity." market expectations unreasonable yardstick for universities? "To argue that universities should react to the needs of the market might seem a very natural response to resolve the disappointment many feel, but it is wholly incoherent. When fields of study, of which computer science appears to be the best example, overemphasize marketable skills, a trade off is required between the instrumentality of an education and the advancement of knowledge. And given that markets change, requiring an ever changing and increasing set of skills, such a trade off may not only poison the type of education that distinguishes universities, it might in the end be entirely futile. Most fields of study only prepare students for the workforce indirectly. When studying a discipline, certain skills are developed in the learning process, be they improved literacy and numeracy, or the ability to evaluate complex ideas, but such skills should not be the ends of a university education, only the means by which one succeeds. They are byproducts that may or may not be useful to the job market. Unfortunately, the ivory tower is addicted to public money. Public money that is contingent on sacrificing intellectual curiosity in favour of the needs of the market, something that universities, should be unfit for. 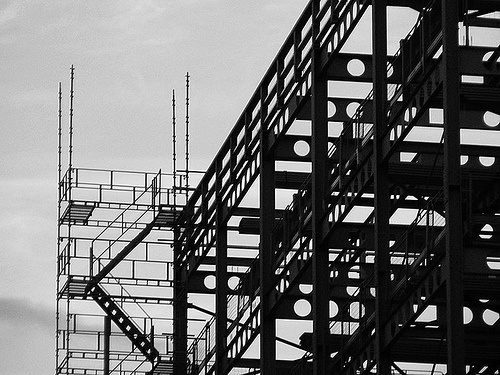 We could blame politicians, or we could blame the forces of globalization. However, the responsibility ultimately rests with those charged with guiding our universities. For if a dean of arts at a major institution like Ken Coates will not stand up for the university as primarily a place of inquiry, who will?"